A New York Times travel writer shares tips for apps that can help you make the most of your next overseas trip, then a Seattle DJ describes how Iceland has exploded as a hotbed of creativity — and why he makes a point of visiting once a year. And a lifelong resident of the Dingle Peninsula makes a persuasive case that his home turf is the most beautiful corner of Ireland. Among the smartphone apps that Stephanie Rosenbloom finds useful for travelers are Google Translate, LiveTrekker, and Clear. A journalist for Vice magazine gamed Trip Advisor to get top ranking for a phony restaurant listing for "The Shed" in London. 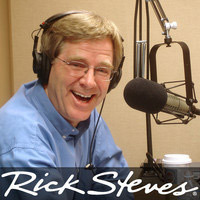 Rick Steves' guide to Iceland. Kevin Cole hosts The Afternoon Show on Seattle's KEXP radio. The Iceland Airwaves Festival is held in November in Reykjavik. The Golden Circle is a popular driving route from Reykjavik inland, to several popular natural attractions. Rick's guide to Ireland's Dingle Peninsula. Dara Herlihy recently bought a pub on Main Street in Dingle. Neligan's promises live music nightly. The Dingle Music Shop is run by Dara's family. The Blasket Centre overlooks the Blasket islands from the tip of the mainland.